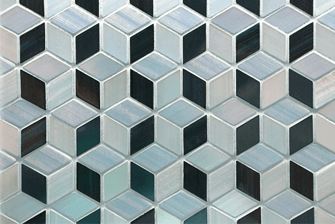 We have compiled our SQL Replication related resources so that you can easily find more information about how to integrate data to or from an SQL Database for a wide range of source and targets. Have questions? Join our Live Demo to Learn More! HVR supports SQL Server Database as a source for change data capture, and as a target for data delivery. The SQL Server Database is a very commonly used database, often running very demanding and mission-critical workloads. SQL Server is a common data source for analytical environments and data lakes. 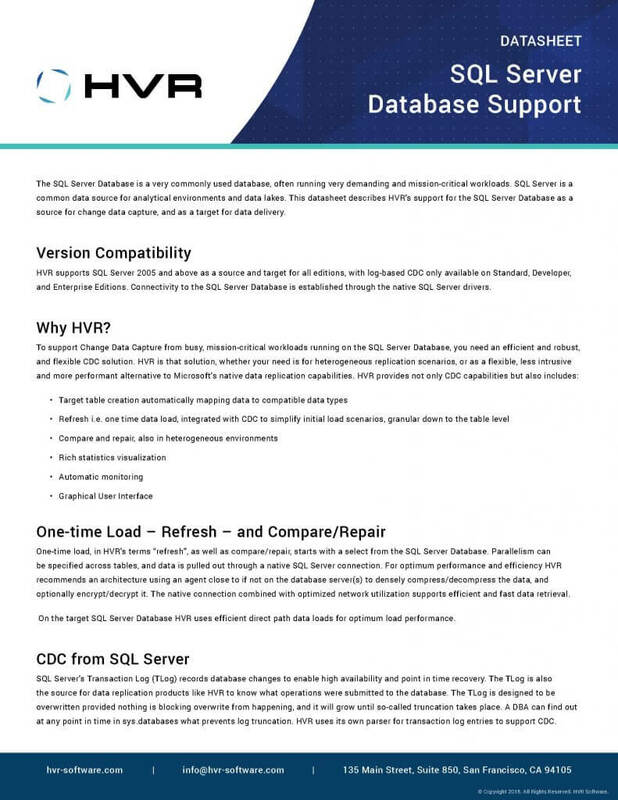 This data sheet describes HVR’s support for the SQL Server Database as a source for change data capture, and as a target for data delivery. About: Teach for America is a not-for-profit organization dedicated to ensuring that all children have access to an excellent education. It puts high-achieving young people into under-resourced, struggling schools with the aim of changing students’ lives for the better and producing civically minded leaders. Today, the organization has more than 55,000 corps members and alumni and has reached millions of students across 53 regions of the United States. Teach for America relies heavily on its website to recruit prospective teachers. Prospective teachers use the site as a portal to obtain information about the program and apply to it. 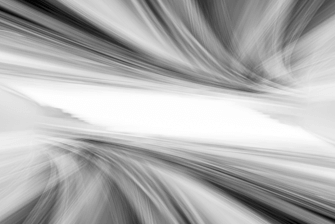 So, when the time came to migrate the Oracle database that supported the website to Microsoft SQL Server, the organization needed to minimize downtime. 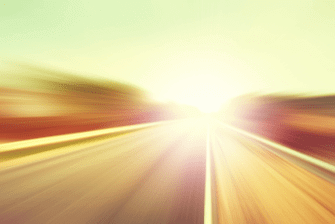 The IT team relied on HVR to simplify and speed this database migration process. About: MobiCom Corporation (Mongolian: Мобиком Корпораци) is the largest mobile phone operator in Mongolia. 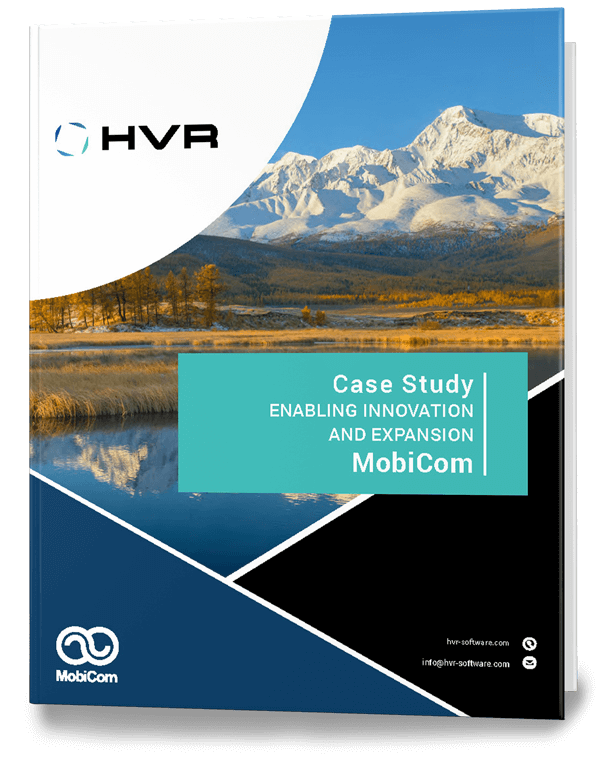 Established in 1996, MobiCom pioneered mobile technology in Mongolia where it today has 33 percent of the mobile service market. MobiCom has been pivotal in transforming Mongolia’s economy by providing essential telecommunication services including long distance and local telephone services, facsimile services, TV and public card payphones, internet services, and prepaid card services. About: Epsilon Marketing is a U.S.-based marketing services company that uses engagement and direct response marketing to lead its clients’ customers through the purchase funnel. Epsilon’s goal is to help its clients deliver the right message at the right time to the right prospect. It has succeeded in this approach by analyzing up-to-date and accurate customer data to gain customer intelligence. This recorded demonstration shows HVR Software’s data integration solution. The demo starts with software download and all the way through installation to getting a first working real-time replication scenario setup between an Oracle source database and a SQL Server destination. 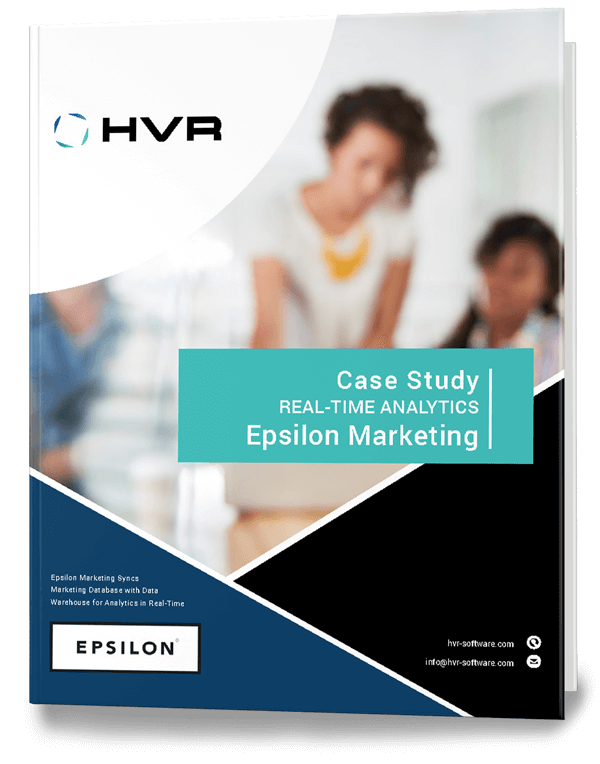 Using HVR, real-time data replication in heterogeneous environments is extremely easy. This recorded demonstration shows an end-to-end demonstration of HVR 5 to setup and perform real-time data synchronization of a SQL Server database into open source PostgreSQL, with an active workload running on the system. This is a 30 min demo walk through how to use HVR to quickly setup capturing real-time changes from an on-premise SQL Server database and sending them to both Amazon Redshift and Apache Kafka hosted on AWS. The SQL Server Database is a very commonly used database, often running very demanding and mission-critical workloads. SQL Server is a common data source for analytical environments and data lakes. This post describes HVR’s support for the SQL Server Database as a source for change data capture, and as a target for data delivery.